It was on September 28, 2000, when we got the news. Nearly eight years after it had first been submitted to the U.S. Food and Drug Administration (FDA), RU-486, the French abortion pill, had been approved. No one in the U.S. wanted to make the pill–there had been lawsuits between the pills promoters, inspections at the Chinese manufacturer had turned up issues, and a woman in the trials had almost died–but the FDA, at the behest of the President Clinton, had plowed forward and delivered before the next administration came in to take over. The abortion pill’s promoters promised it would revolutionize the abortion industry, open new markets, bring in new abortionists, provide women a safer, simpler, more “natural” experience. The reality has been far harsher – and much more deadly. There have been doctors adding chemical abortions to their practice, but not in the numbers that the pill’s promoters had hoped. Statistics reported by the pro-abortion Guttmacher Institute for 2005 and then 2008 indicate that perhaps as many as 150-160 new doctors doing chemical abortions since 2000. From the pro-abortion perspective, this was important because it partially offset what would have been significant losses to the ranks of abortionists. However with abortion numbers overall down a little or staying about the same at 1.2 million a year, the typical new abortionist’s caseloads are not likely to be that large. More women have switched from surgical to chemical abortions, to the point that about 17% of all abortions are induced by pills, or about a quarter of all those abortions performed by nine weeks. But, overall, demand for abortion does not appear to have increased, although perhaps it would have dropped more without chemical abortion. One reason for this is that the chemical abortion process has turned out to be a lot more messy, complicated, painful, and dangerous than had been advertised. A lot of women and would-be abortionists pulled up short when they began to find out that it was more than just a simple, one time pill, but a multi-step process involving at least two drugs taken over a couple of days, a lot of pain, and a great deal of bleeding. Publicity associated with high profile deaths were certainly not good for business. The death of teenager Holly Patterson in September of 2003 from a rare bacterial infection shocked a lot of women who had bought promises of a safe, simple abortion. When news of Holly’s death hit the press, other deaths came to light, as we’ve written about in this space. A teen in Sweden bled to death. A woman from Tennessee died when her undetected ectopic pregnancy ruptured. Several others died from the same rare bacteria that killed Holly. The FDA had the manufacturer send out warnings and conducted an investigation of the infection deaths, but in the end, allowed the drug to stay on the market. The result of this new medical innovation? According to an FDA document released in 2011, there have been at least 19 women die after attempting to abort with RU-486, at least 2,200 suffering significant enough “adverse events” to be reported, and at least 612 women requiring hospitalization. 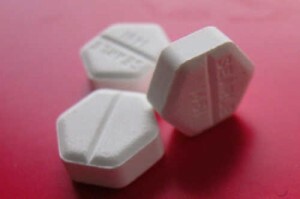 The abortion industry and the medical establishment like to refer to these as medical” or “medication abortions,” but this is a betrayal of what medicine stands for. The record of the past twelve years clearly shows that this drug has not saved lives, but destroyed them. Promised a “miracle pill” that makes the baby disappear, women were sold a bill of goods, receiving instead death, pain, and heartache. You can repackage death, but in the end, death is still what you get. Do Abortion Comparisons Make Sense?